Google in its recent Marketing Next conference mentioned that more than 80% of the user turns to the internet to get a help or suggestion for the problems they face. Being a legal problem solver and solution provider owning a website for your law firm is a must. Most important things you must note in a lawyer website template is, it should be bold and powerful just like your profession. The color scheme of the template must show trust, secure and royal feel to the users. Color psychology plays a major role in business branding and also in website branding, CoSchedule made a detailed post on color psychology, take a look at it for more detailed information. Following are the best free lawyer website templates, in the free website templates you get only limited support. You have to use the template as it is, maybe you can do small tweaks to the templates. 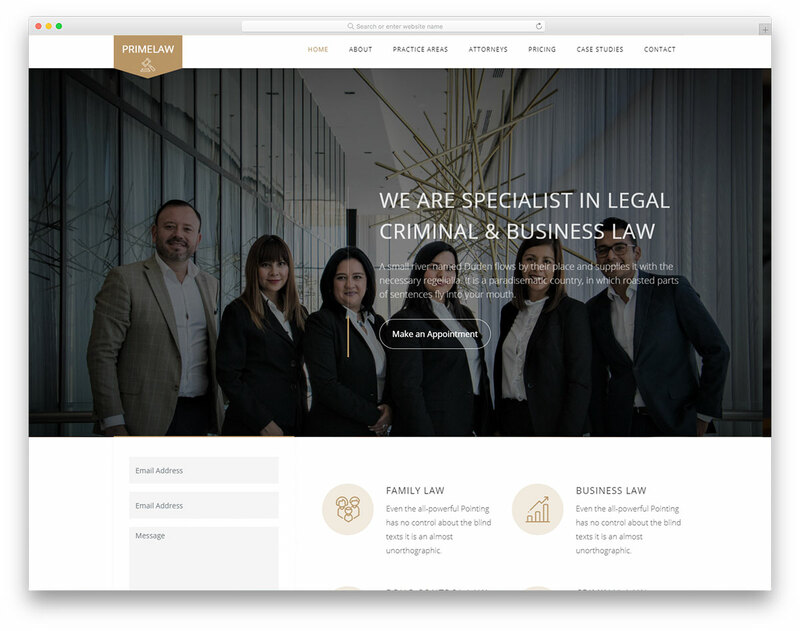 If you really wanted to customize the website template to stay unique, then please check our premium lawyer website template collection. Saying that, here comes the best free lawyer website templates. 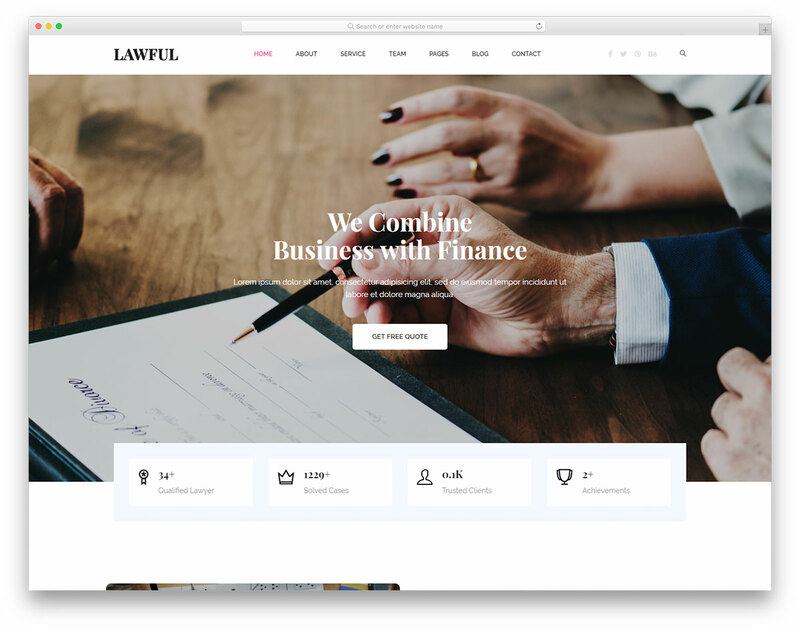 Lawfirm is our modern, creative and sophisticated free lawyer website template that is fully customizable and easy to use. All the stuff that you get in the package is well commented what calls Lawfirm a friendly tool to both beginners and pros. Right off the bat, you will notice the large, full-screen slideshow that warmly welcomes all your visitors and potential clients. This is the feature which you need to put the work in to get them enticed and intrigued to learn more about what you have to offer. Along with the home page, Lawfirm also comes with several other inner sections which are all just as neatly designed and developed. However, if you feel like tweaking it, by all means, modify Lawfirm however you like it. Some of the cool features are on scroll content reveal, parallax effect, functional contact form and social media icons. 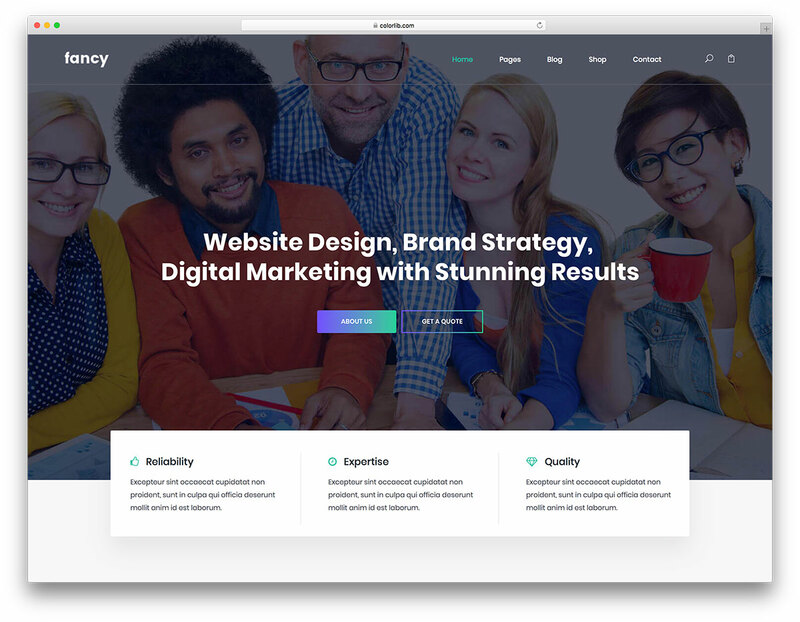 Fancy is a fully featured modern website template for businesses and agencies. 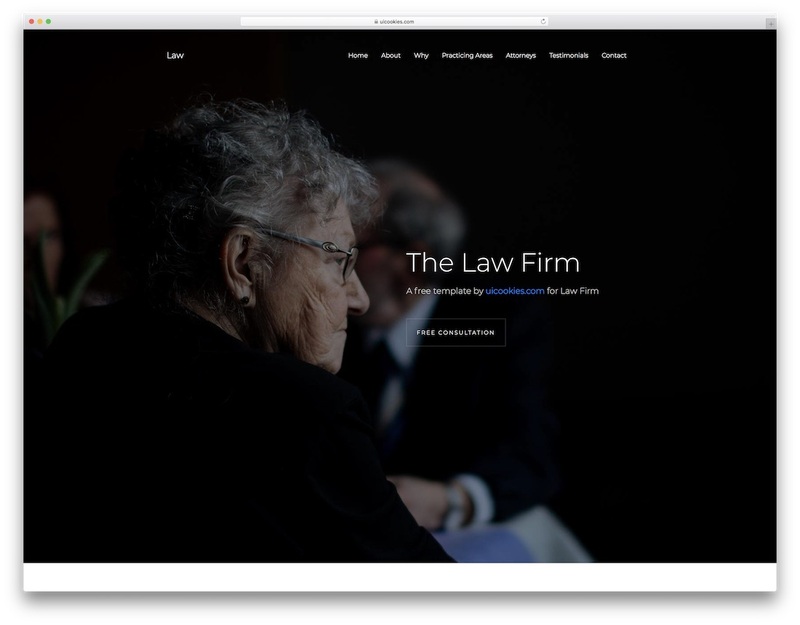 This template will help you create a present-day style website for your law firm. Since it is a business website template from the core all the colors and the web elements given in this template helps you to create a professional looking website. Fancy website template uses a trendy color gradient as the color scheme. The hover effects are really nice on the gradient style web elements. 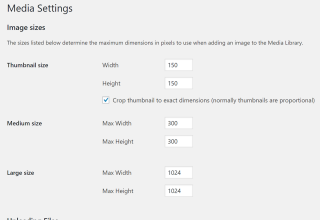 In the header section, you have big image slider with bold texts and call to action buttons. The transition effects are cool and get one’s attention easily as soon as they land on your site. With this template, you get features like animated bars, parallax effects, custom icons, carousels and elegantly designed forms. It is a multi page website template, which covers basic pages pre-designed for you. Ever wanted to create a modern website that attracts and retains the visitors? Then Datarc is the perfect choice for you. 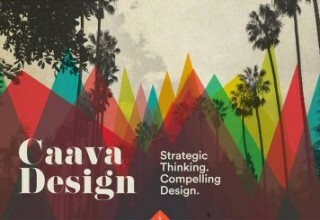 This template is primarily designed for digital agencies and creative agencies. But its pliable website design layout makes it a perfect fit for lawyer website template and business website template. This template helps you to make a clear branding on your website. Throughout the design, the template follows the same color pattern, but it is mixed properly so that the website doesn’t look boring to the user. In the header section, you have a big static image with clear bold texts and a call to action button. 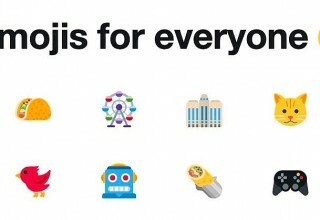 This template uses custom icons that fits the overall design language of the template. It is also a one-page website template with all the necessary segments designed so that the user can get more from the website easily. Labs is another masterpiece from our designer and developers. 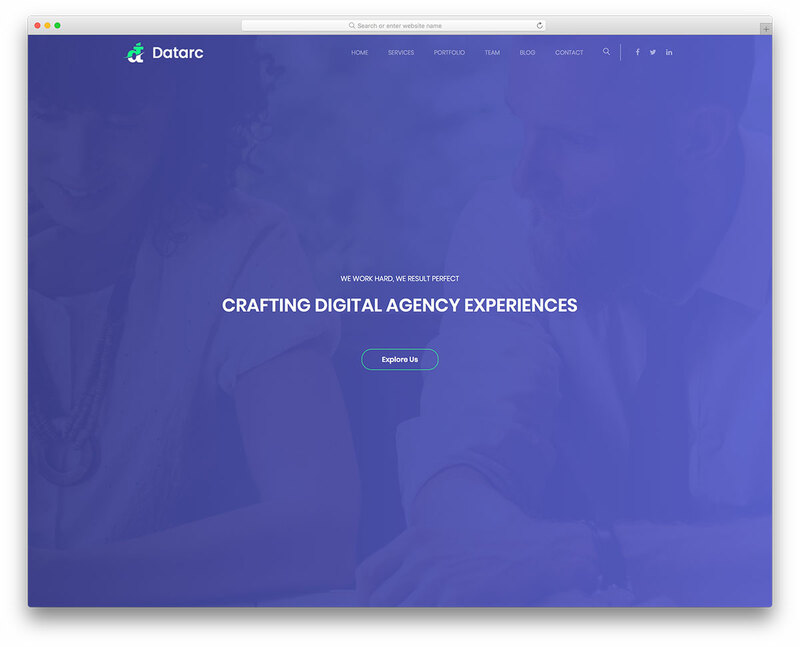 It is also an agency type website template, so you get modern web element and professional web design layout with this template. This template provides you all the necessary features and web elements you normally need to create a professional looking lawyer website. In the header section, you have a big static logo and an image slider. The transition effects in the image slider are neat and simple. Labs website template includes multiple pages pre-designed for you. With this template, you get features like custom made icons, carousels, easy video embedding option and bold call to action buttons. 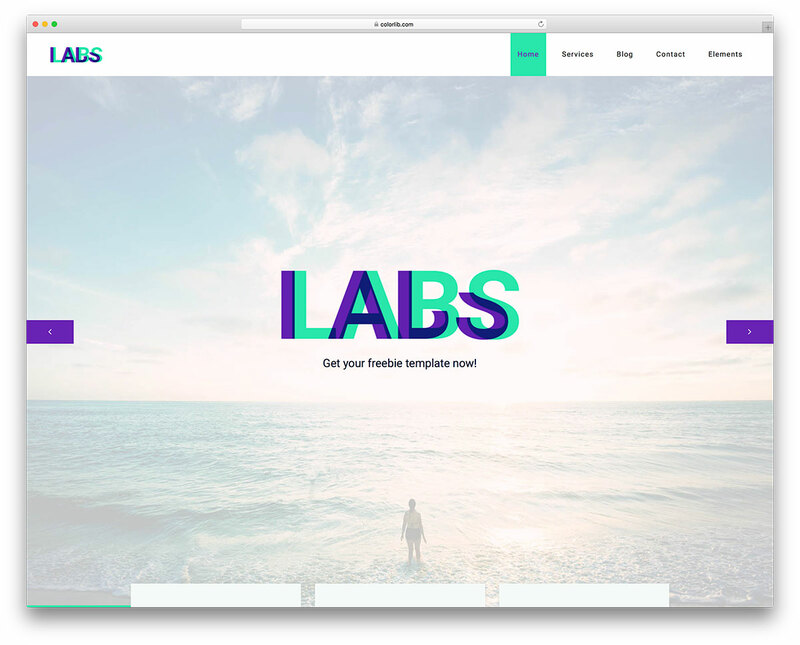 Labs is a well coded website template, it uses latest HTML5, CSS3, and Bootstrap framework. It is also mobile responsive so that your website performs well even on small screen devices. 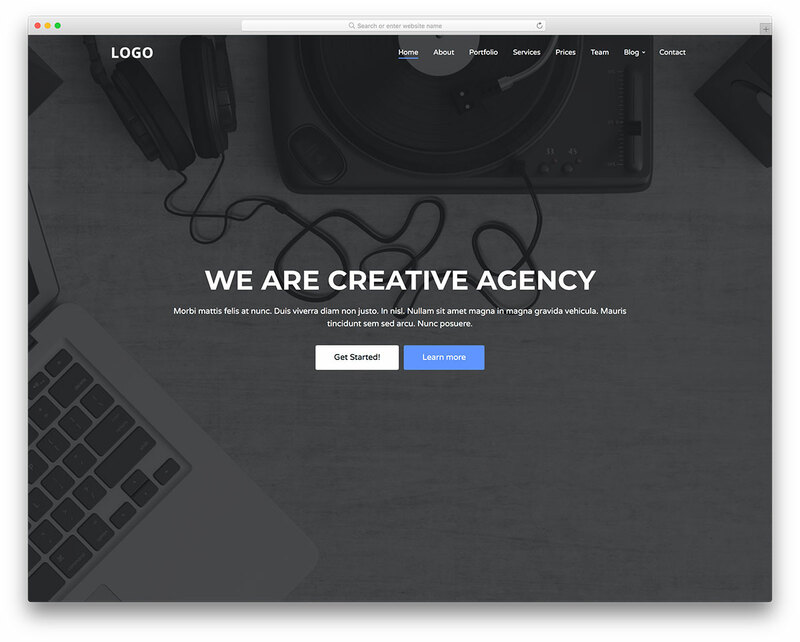 Creative is a clean website template for businesses and creative agencies. The impeccable design layout alleviates your effort in creating professional looking lawyer website. This a one page website template with all segments and web elements you need in a modern website. 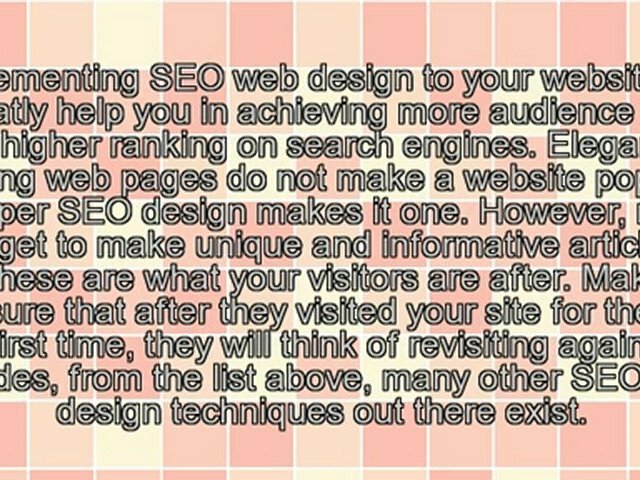 The logical design of the template helps the user to get most out of your site easily at a glance. It is a full-width website template which smartly manages the screen space in both the small screen devices and big monitors; meaning, it is mobile responsive. 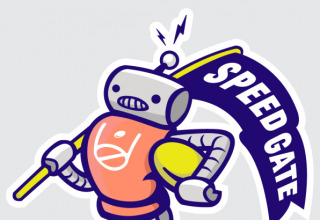 On the clean white background, the images and the texts are clean and easy to read. With this one-page website template, you get sections like; about, portfolio, services, team and contact page. This template also provides you blog templates so adding content regularly won’t be a big issue. 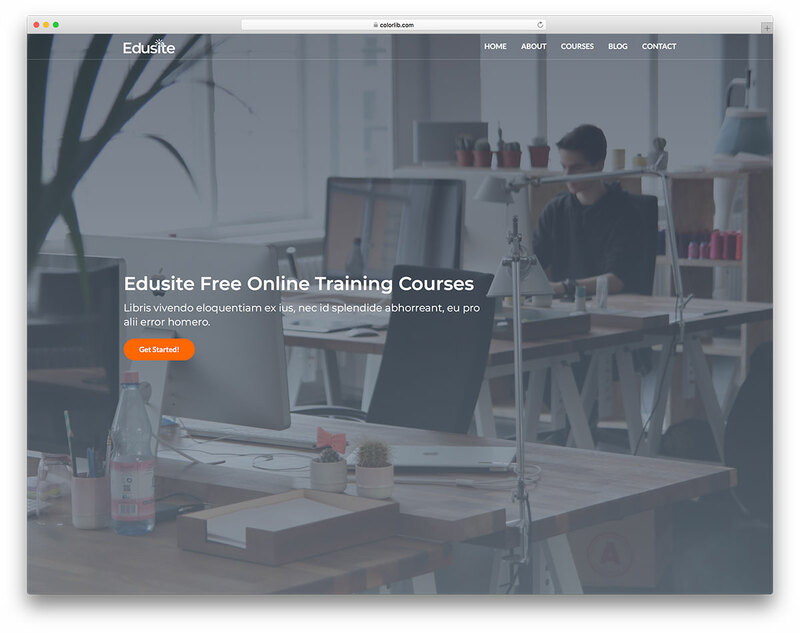 Edusite is a flexible website template we have ever created. You might have seen this template in many of our other template listings also. It is basically designed as an education website template. The professional design and modern web elements are future proof and fit for all types of business as well as the personal website. In the header, you get a big static image header with bold texts a call to action button. Orange is the primary color scheme of the template which looks professional and also manages to stand out from the rest of the design in the template. With this template, you get features like custom icons, neat hover effects, parallax scroll effects and easy to embed video option. 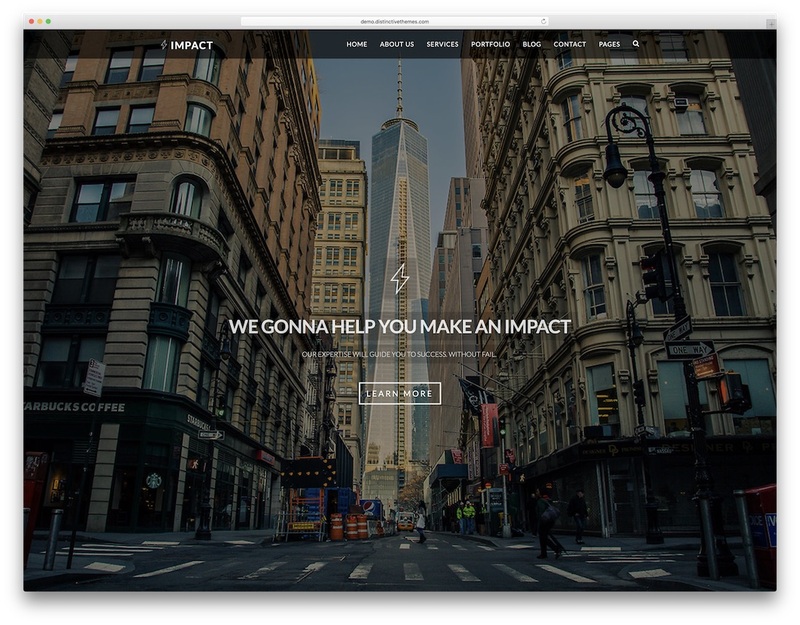 The Impact is a premium feel free website template. It is a multipurpose website template that fits for all types of professional websites as well as personal website templates. The smartly designed homepage helps you to attract and retain your website visitors. In this free website template, you get all the premium features and elements you can expect in a premium website template. With this Bootstrap website template, you get features like animated counters, parallax scrolling, interactive scroll effects and pricing table. Since it is a multi-page website template you have plenty of page design layout to choose. This well-coded website template is mobile responsive and is also cross browser compatible. 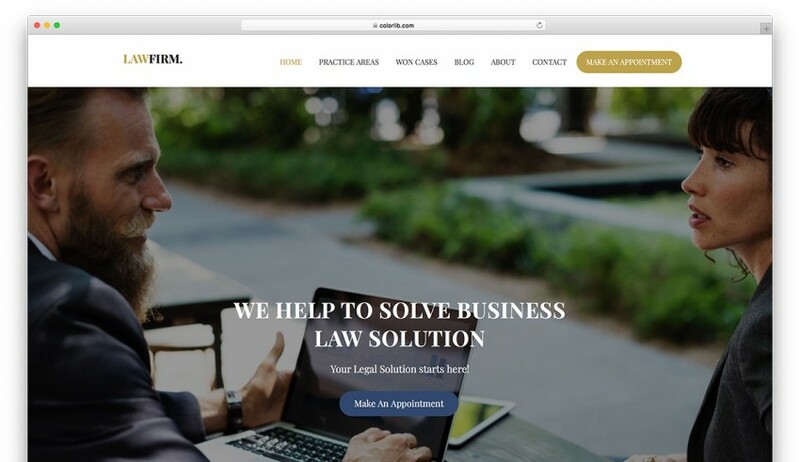 Whisper is a free lawyer website template with the capacity to fit numerous businesses within the legal and law practices. It is a modern and easy to use tool that you can put to use immediately. With a comprehensive page, you can scale your law business to new extremes and attain great successes easily and quickly. Some of the very many features Whisper has available for you are parallax effect, sticky navigation, loads content on scroll and fully supports video and other types of media. There is also a free consultation form integrated into the web design so you do not need to build it yourself. There is a special section for practices and attorneys, as well as a blog and a contact page. A single click on the free download button gets you to start building the vital website. Nowadays, there is no need to start developing a website from scratch. You have many free resources that help you get things rolling sooner rather than later. 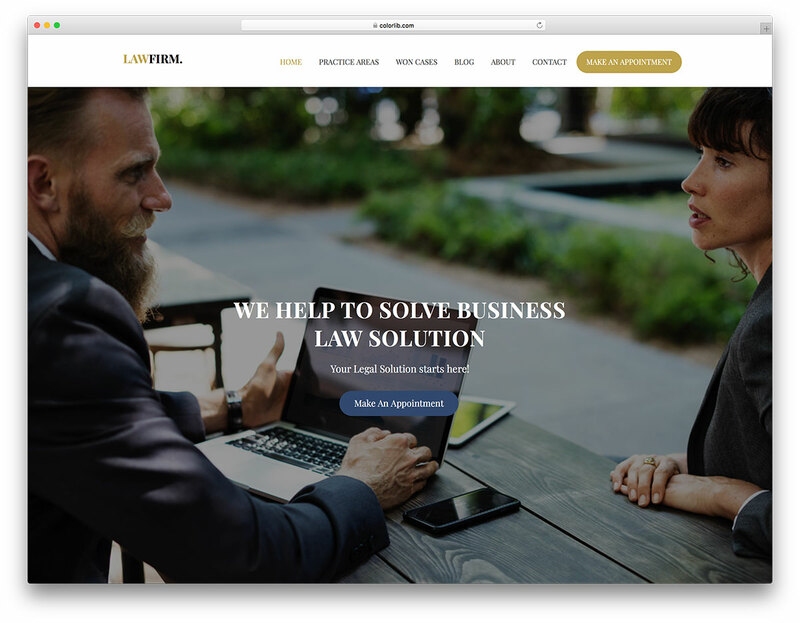 Even when it comes to building law and legal website, we have an entire collection of free lawyer website templates available for you. Lawful is another striking site skin that speeds things up for you regarding creating the must-have page. No time to waste, download the free tool now and start making a big difference for your business. Lawful is based on the well-liked Bootstrap Framework what ensures flexibility and mobile-readiness. Of course, Lawful is also in tune with web browsers, search engines and provides excellent performance. There you go, kick things off in style with the professional and premium-like Lawful and make the page that you need. Regardless of the industry, you are in, you need to follow all the latest trends and regulations with your website. Especially when it comes to lawyers and law firms, it is crucial that it expresses your professionalism that will take you to new heights. 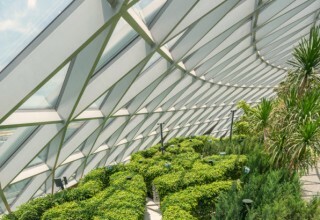 Couple the contemporary look of Primelaw with your outstanding services and you can start moving mountains. 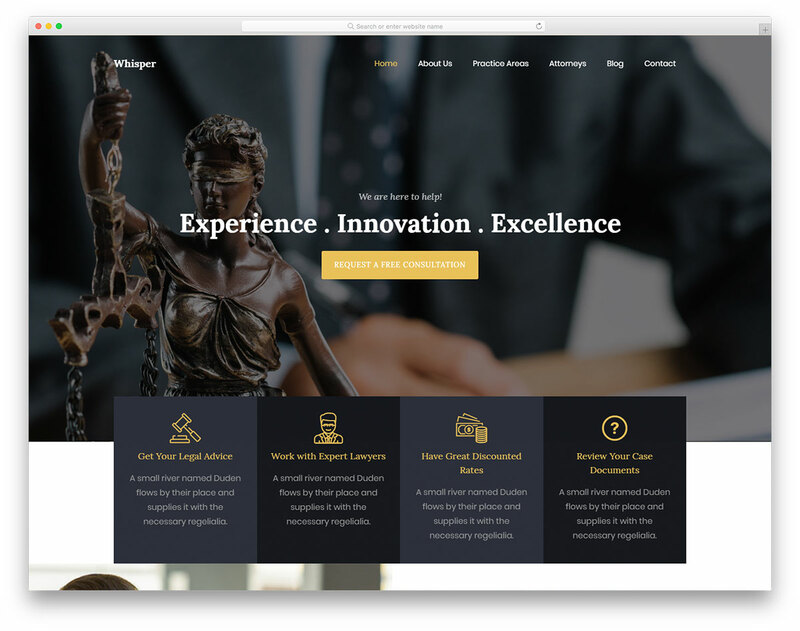 This free lawyer website template is ready and set to assist you at establishing a killer design for your online presence. Make it yours and tweak it accordingly, it is all possible. Primelaw comes with a full-screen slider, appointment form pop-up, case studies, animated statistics and testimonials slider. There is also Google Maps for when you would like to share the exact location of your law firm. No doubt, you will stand out from the masses and build trust and loyalty in potential new clients thanks to the astonishing Primelaw. 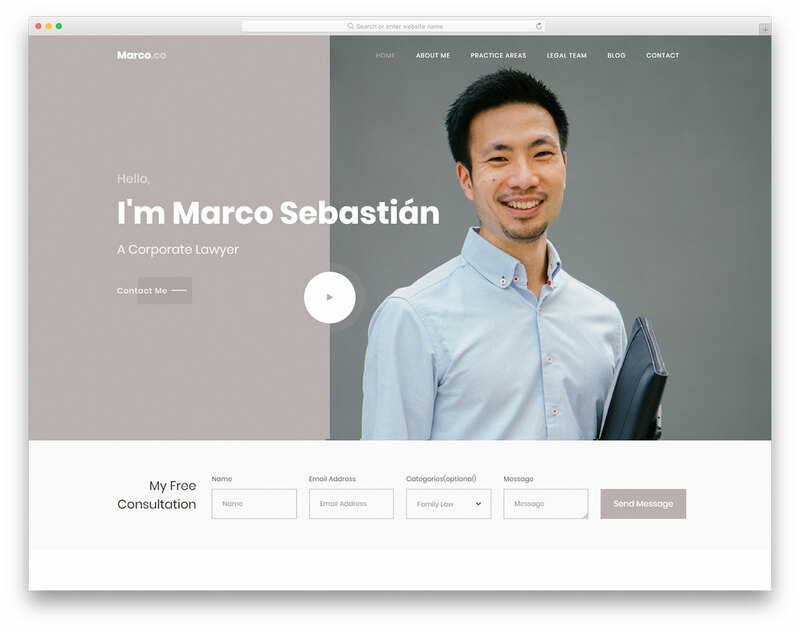 Marco 2 is your go-to free lawyer website template if you are solo. You can create a magnificent online presence that will act as your portfolio, as well as a marketing medium. With Marco 2, you can tell more about you, your experience, practice areas, case studies and all the other necessary information. Right below the full-screen split-screen banner, Marco 2 features a free consultation form that comes very helpful. 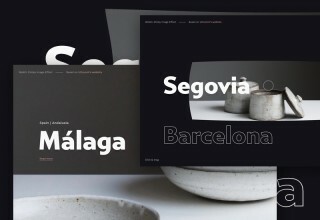 Other fine qualities of Marco 2 are parallax effect, smooth scrolling, working contact form, Google Maps and widget-rich footer section. If you have a video presentation, you can feature it on your page as well. 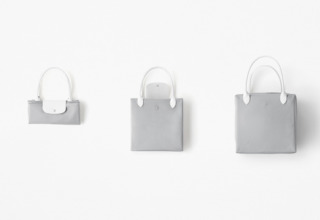 Marco 2 is flexible and adaptive, ready to work with users of different levels and tastes. As a professional individual, Marco 2 is one of the best free templates for legal practices that you can find on the market today. With a first-grade website, you can unlock a whole new specter of options that will take your law firm to a new degree. TheOrder is a terrific free lawyer website template that creates a neat design solution for your web space. You can now speed things up regarding building the modern and responsive website that you need. Exactly, you do not need to hammer out a page from scratch anymore. It is TheOrder that delivers a layout that will suit many business requirements. The features and goodies are there, ready and set for you to employ them to your likings. 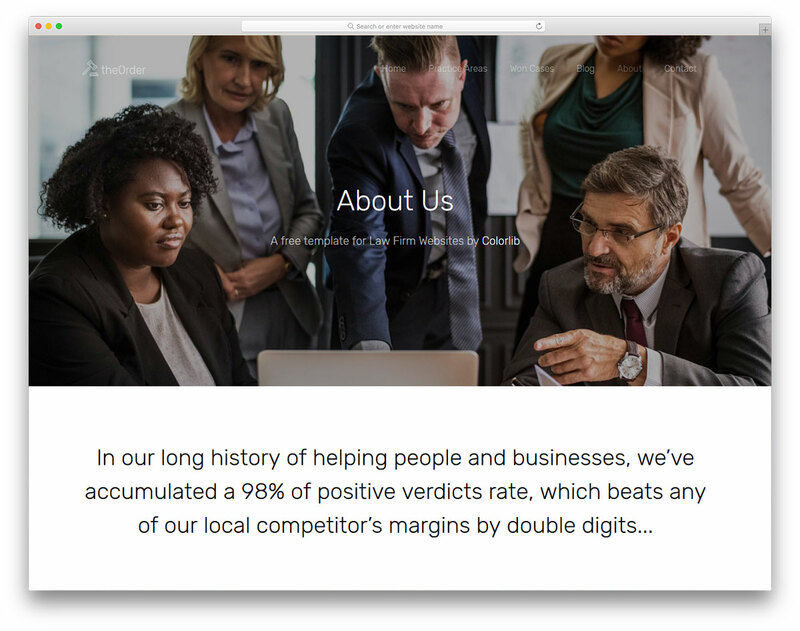 From parallax effect and animated statistics to sticky navbar, cool testimonials and attorney introduction, get your name out there with TheOrder. If you offer free legal consultations, TheOrder also has a working form included in the web design. As the name suggests, Law is a free lawyer website template that pretty much anyone in the legal industry can use. 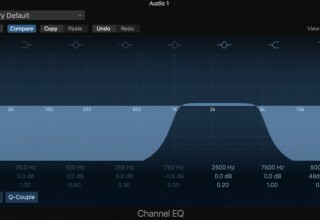 It is flexible, easy to use and modifiable so you can alter and adjust it effortlessly. Feel free to use it out of the box but do yourself a favor and make improvements until Law matches your branding to a T. Create a spectacular marketing channel that will bring in new leads and help you seal big deals. What to say, Law is clean, modern and minimalist web design with a great collection of traits that will benefit you significantly. Use the ready-to-use layouts and elements and have a website masterpiece up and running sooner than later. The opportunity is here; it is now entirely up to you how serious you are about your law business. Little do you know, you start bringing in new clients and your firm grows on a steady basis thanks to Law. 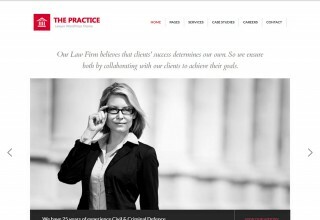 These are some of the best free lawyer website templates you can make use of for your site. To give you a better idea we have also added some multipurpose website templates since most of the template follows professional design layout it fits well with your needs. If you still can’t find the perfect template for your site, feel free to check our other template collections. For more advanced features and easy content management, it is better to opt for a WordPress theme. 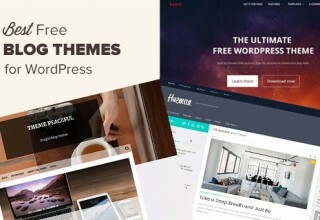 We have also covered you with the WordPress themes, check our WordPress theme collections to find the best theme for your site.